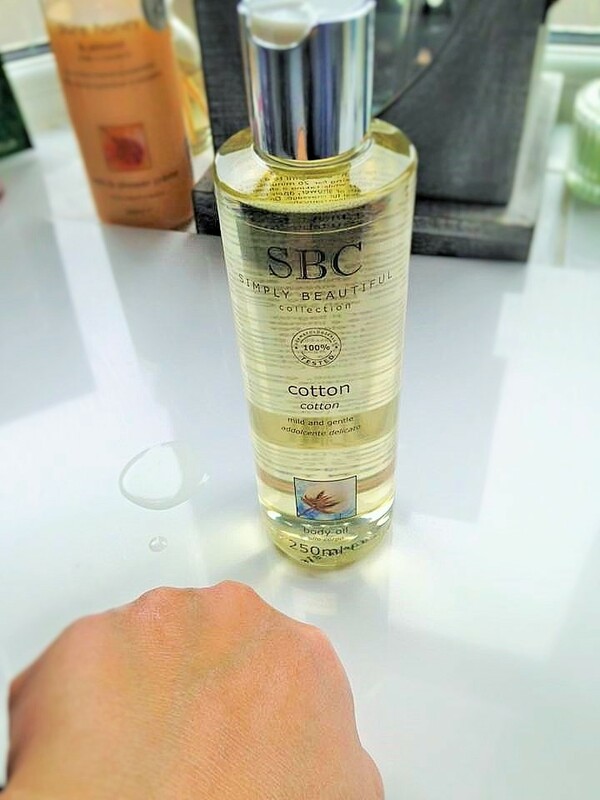 SBC Cotton Oil Perfect winter skin protection for the whole family. Hot off the heels of the recent launch of SBC’s comforting and deeply hydrating Cotton Milk Bath and Lotion, comes the Body oil. Face oils are in the beauty press a lot right now and it’s time the body oil had its moment again. There are many well known body oil products out there, but this is different. Combining Cotton, Oat kernel, Wheat Germ Oil and Vitamin E, this delivers the correct ingredient’s to bring moisture, tone, suppleness and skin friendly ingredient’s. The great thing about this *Cotton oil is not only is it dermatologically tested, allergen free and only contains 7 ingredient’s, but can you also apply it directly to babies and children’s skin. This oil is so easy to use, You can add 10ml into a bath, apply it over the body in the shower and rinse off, or apply it to damp skin after your bath or shower. I love this in the bath whilst i’m relaxing as the water feels smooth and there is the hint of this relaxing scent. Afterwards i smother myself in it and it feels amazing. I always wake up the next morning with the softest feeling skin. If like me you are already noticing that scaly looking skin appearing on your shins, give this a go. I love my body butters, but this just seemed to work immediately on my scaly shins! I was so pleased. This oil really does lock moisture into the skin, creating a barrier between you and the cold weather. It rehydrates the skin and leaves a lovely, light sheen. This is beautiful applied to the shins for a night out if you are wearing a dress. Beautiful if used in conjunction with the other SBC Cotton products i wrote about HERE. Please always remember though that if you use this in the bath or shower, it may leave the surface slippery after use. Please rinse out thoroughly so that no one slips and hurts themselves. Do leave me a comment and let me know your favourite SBC product! "Get The party Season Look with Glo & Ray cosmetics. Make a make-up Statement!"